An excellent start to the new year for the club. 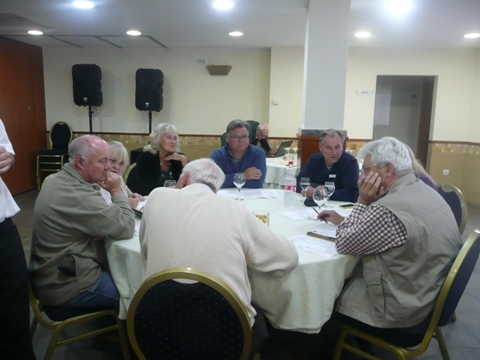 41 members attended the AGM on Thursday 4th February at 3.30pm at Hotel Overa. The hotel provided nibbles and refreshments thanks to Sybil and Jean for organising this. The committee stood down, and following a vote from the floor were re-elected in full, with additional duties taken on by Chas as Events-Co-ordinator. Alan Foreman will handle membership, and I (Wendy Rhodes) will assist Ray with the website and will start a club blog. Peter Underwood took to the floor to express gratitude, and a vote of thanks to the Committee for all their hard work, and to voice appreciation on behalf of all members on the positive way the club is run. A round of applause was conveyed by all. 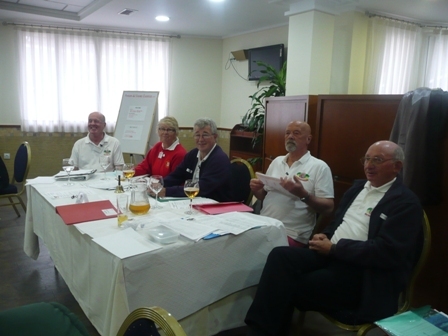 Treasurer Malcolm Smallwood delivered the clubs financial report. The club’s funds stand at £609.84. Judy proposed the accounts which were seconded by Will. 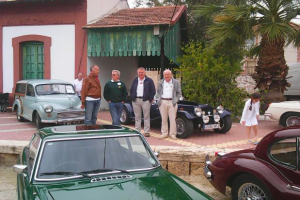 At the beginning of the club’s year there were 20 new members, and a further 12 up to the end of December 2015. 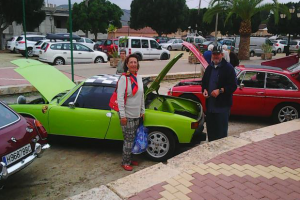 Ray & Sybil were organising the next car run with a meal arranged at Kalavera. 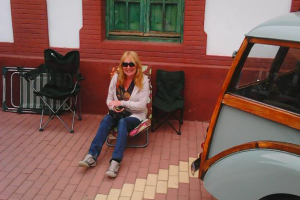 Trevor is also arranging a social lunch outside Mazarron on Wednesday 23rd March. While, Malcolm talked about a proposed weekend away to Baza on 4-5th June. The next meeting is on Thursday 4th March, Hotel Overa at 3pm. 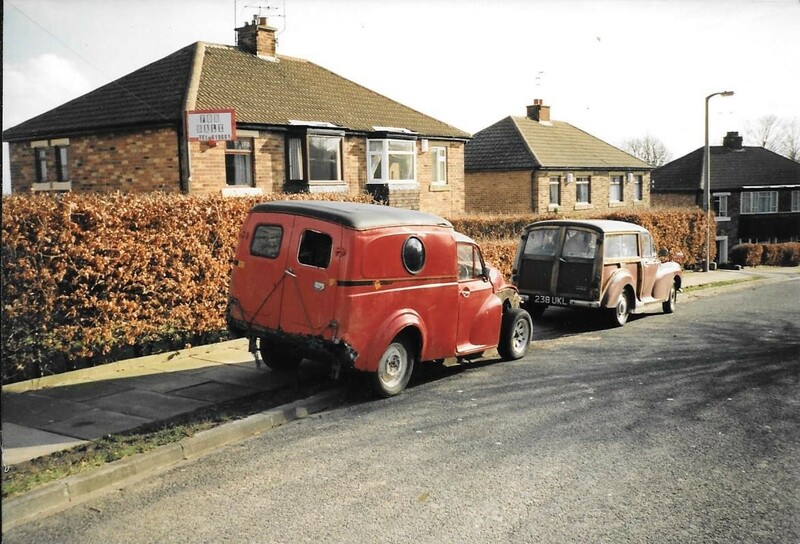 Paul and I have had a Morris in the family for as far back as I can remember. On our first date Paul turned up in a 1969 green Morris Minor Traveller. I was horrified!There I was dressed up to the nines ready for a ‘posh’ night out. I did not expect to be ‘taken out’ in a midwife or school master’s car as I associated the Minor’s with back then. I wasn’t too impressed (with the car) and my friends, well… they found it highly amusing. However, I soon got used to it. It was fun, different and above all cheap to run. Since then we have had many more. 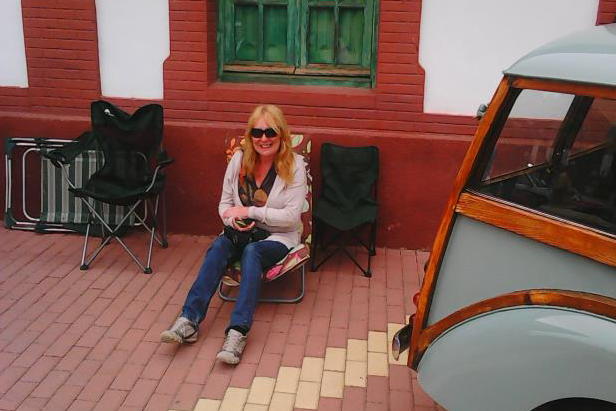 Our favourite was a maroon one which we part-exchanged for a Ford Sierra. Originally manufactured in 1962, it was sound and still going strong. We went everywhere in it. The kids hated it! They were just at that teenage in-between age so if they misbehaved, their punishment was to be taken to school in the Moggie-or worse Paul would wave at their friends as he passed them whilst the kids would hide down in the back seat, trying to go incognito and praying their friends did not see them. They really did not appreciate their dad driving round and round the roundabout like Mr Bean- ‘You’re so not funny dad!’ was the usual remark. Taken outside our (then) house 25 years ago. Even worse, one day Paul turned up in a Morris Minor van he just had to buy. ‘Oh my God’ the kids declared ‘Dad thinks he’s Postman Pat!’ and to make matters worse he bought a Postman Pat tape and played it full blast from the homemade converted tape machine- stuck together with masking tape. ‘Mum tell him… why can’t we have a proper car… like normal people?’ The van had a ‘custom’ makeover. It had blacked-out port-holes for windows and the interior resembled ‘a tart’s boudoir’ with its pink padded draylon and cushions. We did not get another one until 2011. This time a complete wreck that (still) needs an extensive restoration. 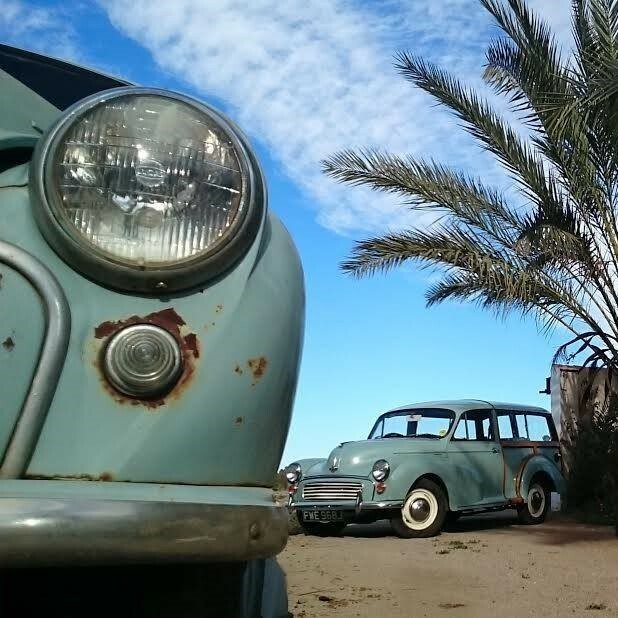 In 2013 Paul bought the Morris Traveller we drive now, bought unseen, it arrived on a transporter from the UK. Fortunately, we are really pleased with it. The only thing is my drive is once again becoming cluttered with Morris Minor’s… some things never change. The Morris Minor first emerged from Alec Issigonis’s sketch pad around 1943 and launched at the 1948 Earls Court Motor Show and quickly became the star attraction in the small car sector; its clean, modern styling and technical ingenuity put it ahead of not just its immediate rivals, but also many larger saloons. The war was won, and people were fed up with years of austerity and rationing. They had enjoyed driving in the Army and were looking for a small (ish) economical car for their families. Issigonis delivered a stylish, roomy car which was affordable to the working class. Initially two versions were available. The two door saloon, and the more expensive ‘convertible’. Followed, by the 4 door saloon which was introduced in 1950, and the Traveller in 1953. The Minor’s versatility was further shown in its light van and pick-up variants, the former being much favoured by the Royal Mail (or the GPO as it was known). 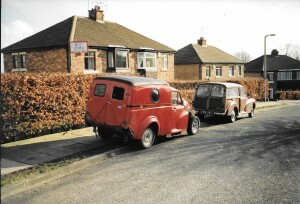 The cars were built at Cowley, although production was eventually switched to the Morris Commercial Vehicles site in Birmingham. Such was the appeal of the Minor that over 1.6 million vehicles were built over its 23 year life-span. Production finally ceased in 1971 with the Traveller and light van being the last Minors built. The Morris continues to be popular, a contemporary classic, and can often be seen in Television soaps and dramas. Well, thanks to you, we achieved our goal of 20 classics on display! Thanks to everyone who exhibited and also those who came along on the day to support us. Although cloudy there was no rain, so that was a blessing. 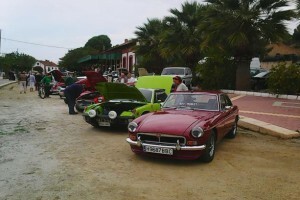 We had the chance to see Alan & Margaret Foreman’s MGB GT on its first appearance after arriving from the UK. Alan joined last month. Will & Charli Gater came along in their newly purchased Jeep, again for its first club outing. Another new car on show was John and Debbie’s NG, in which they came all the way from Galera, Granada. 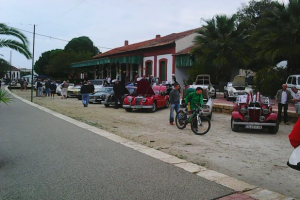 We achieved our goal of 20 cars on display and no less than 30 folks sat down to lunch. This makes it the most popular event since I have been keeping records. Also, we contributed over 35 euros to the day’s charity funds and the club donated a prize for the day’s raffle. So, well done all! So a great turn out and thanks to everyone including our two judges, Will Gater and Alan Foreman, and Sean Mahaffey for help setting up and car movements. Last but not least thanks to our President David Fox for presenting the prizes. AWARD WINNERS: Car of the Show – Malcolm & Jean Smallwood, Austin Healey. Most Original Car – David Manning, Citroen Ami 6. Member’s Choice – Theo & Karin Aelen, VW convertible. 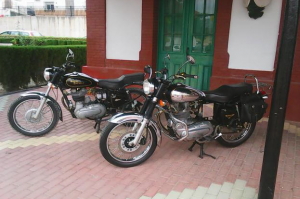 Furthest distance travelled – John & Debbie Valentine, NG. Click yellow dates for more info.